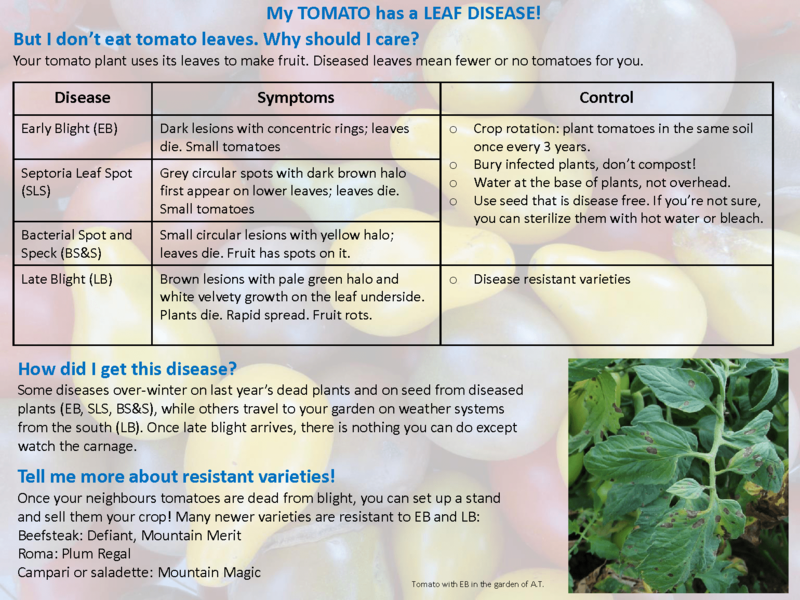 Ugly leaves may mean disease -Onions, Cucumber, Melons, Tomatoes and more! Ugly leaves in your vegetable patch? Is it harmless or a disease that will affect your harvest? Many of our vegetable diseases first appear to us as ugly leaves with blotch marks or a white coating. These marks can warn you about a big problem you should correct quickly or may just be relatively minor blemishes. The trick is to know which is which and what to do about it! 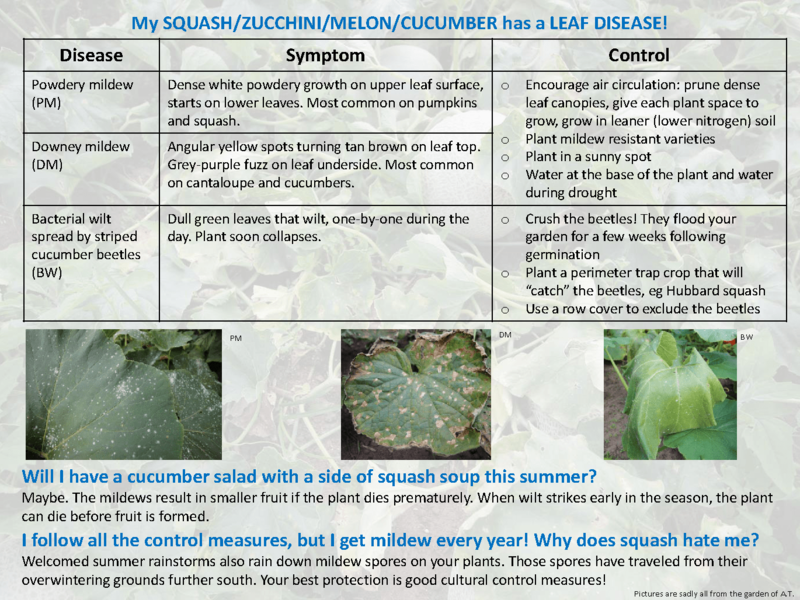 Here are three great infographics to help you understand foliar diseases that affect edibles such as Onion, Squash, Zucchini, Melon, Cucumber and Tomatoes. Check out the infographics below to help identify what is affecting your leaves and some great hints about how serious the situation is and what to do to save your crop. 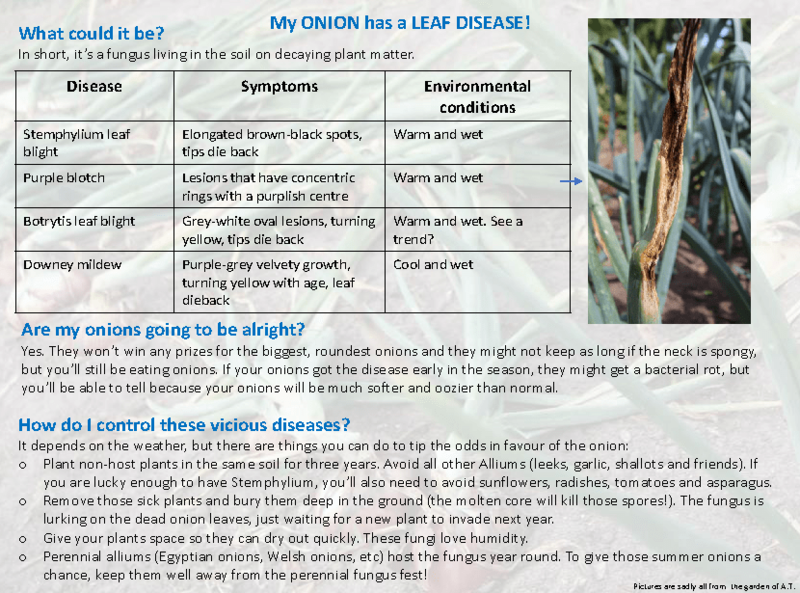 Printable version of the Foliar Disease infographics below. Thanks to Dr. Amy Turnbull for this contribution!